Yep you read right I am officially unemployed ….. well as far as the corporate world is concerned anyway! I am still very much working; only I’m working for ME! 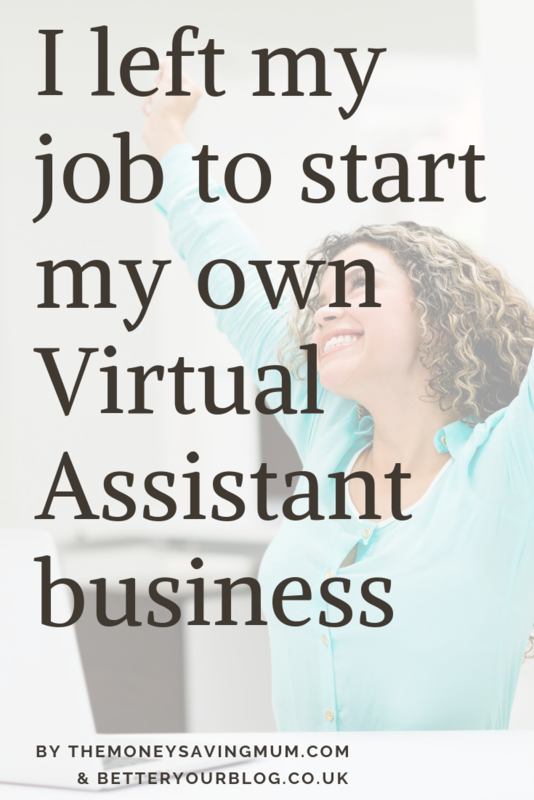 I quit my job to start my own business!! I’ve worked in a government agency for over 13 years and although I LOVED my job the environment has ended up being so toxic it’s was unhealthy. I’ve been through 2 flexible working applications that were both refused and granted at appeal because the business had done things wrong. I’ve missed out on opportunities because I’ve either been on maternity or worked part time. I’ve been through an attendance review because I had tonsillitis caused by stress. and even had CBT because I’ve thought everything that I’ve gone through at work was all me and in my head! November 2017 I started my journey on CBT; it opened my eyes massively and was so good to speak to someone other than a friend who is going to make you feel better because thats what they are there for or a husband who tells you to just tell them to fu*k off 😉 (there were times I was close!). My CBT lady was a psychologist; some one professionally qualified to tell me no that’s really not right or no it’s not just you being silly. I knew things weren’t right and that the things I were feeling weren’t normal but I just needed that someone to tell me that! In January I decided I wanted to really make a go of my blog. I didn’t want to stay there but I felt I couldn’t leave and that there wouldn’t be anywhere else with the flexibility I had fought tooth and nail for for years and now felt trapped. I wasn’t staying for me I was staying for everyone but me. February, I think it was, I signed up for a 1:1 blog coaching with the wonderful Lynn James at Mrs Mummypenny. In addition to helping me with my blog & pricing my work accordingly she also planted the seed of the possibility of using the skills that I already had, skills that I had acquired over the past 14 years. Over the next couple of months we built up a really good friendship. I had 30 days follow up after my coaching and sent her over pitches, went to her for advice and found we really got on. Just before I went away in April I started helping Lynn out with the SEO of her blog posts and website and the rest is history as they say! It was approx 6 months to the date I plucked up the courage and got that coaching call that I put my notice in at my corporate job! I still can’t believe it either! I was determined at the beginning of this year to get out of that hell hole and do something for me… and I went and did it! I didn’t put a time span on it either… it just all seem to happen in 6 months! I will be forever grateful to Lynn for planting that seed… it’s something I have done for so many years, general administration, running my own businesses solely on social media platforms, my blog, vlog…. but when something is right in front of your eyes you don’t always see it do you… I needed that someone to shake me and say LOOK it’s right there! Lynn did just that! 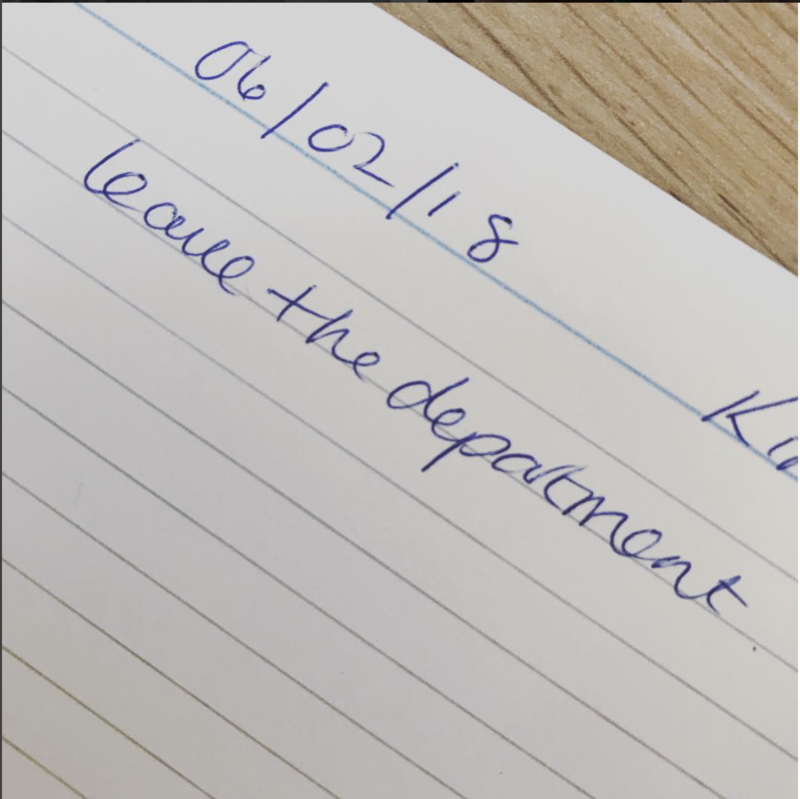 The date I put my notice in was 6 months to the date that I and the rest of my team were told to go on a resilience training. I explained to my manager that I didn’t want to; not in a uncooperative or negative way but explained I didn’t want it to in anyway to effect my CBT I was at that time also having. I was being told to do and think a certain way by a trained professional; I didn’t want to then be told something completely different by someone far from a professional, someone basically just wanting to get a ‘over achieved’ tick in their appraisal box at the end of the year with no expenses spared for peoples mental health. So that’s me done as far as working in an office is concerned though; no more stressing about things I have absolutely no control over, no more paranoia over what my manager thinks of me when the school call because one of my children is poorly and needs picking and ultimately for my health; no more bullying, discrimination or making me feel like I can’t be myself. I now run betteryourblog.co.uk who specialise in providing virtual assistance to fellow bloggers and vloggers. I optimise blog posts to gain them higher rankings in Google, I get posts to the point of publish (without writing them of course… that’s their job!) 😉 as well as doing Pinterest and social media management, newsletters and so much more! I also offer my services out to businesses and non bloggers via hldnmedia.net and help companies with marketing, social media management and any other form of admin work that maybe required. You will be seeing so many more posts over on here and our vlogging channel because I now have the time to do so instead of being out of the house working for someone else for 3 full days a week, getting home, stuffing my face with chocolate feeling sorry for myself & putting on a ton of weight.. that wasn’t helping my mental health at all… but this my friends is! If you got value out of this post or you feel someone else may benefit then feel free to share! I love that I stumbled upon your blog. This post resonated so strongly with me….I too quit a toxic environment almost 2 years ago now and I can honestly say it was the best thing I ever did. I honestly feel that had I not, I’d have had a mental breakdown. Your post is beautifully written – looking forward to reading the rest.